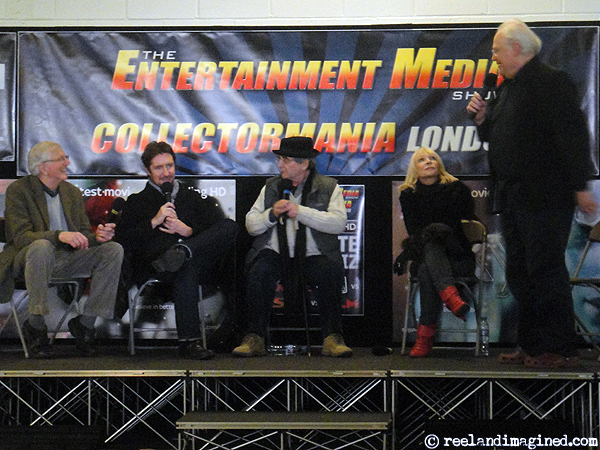 It’s Sunday 28 November, and three Doctors – Colin Baker, Sylvester McCoy and Paul McGann – plus companion Katy Manning (Jo Grant from the Jon Pertwee era) and Stephen Moore (a Silurian from this year’s Cold Blood) are fielding queries from the respectably sized crowd at Collectormania London. As usual, certain audience members are asking the questions that matter. Hmm, who would win that fight? I suspect that he’s given this subject some previous thought. What’s a kiss between friends? As it happens, quite a lot, if one of those friends is a Time Lord. In May 1996, when the telefilm that has come to be known as Doctor Who: The Movie first aired, it attracted the ire of many long-term fans. Its ‘crimes’ were legion, but two in particular raised certain viewers’ hackles to planet-scraping heights: 1) the Doctor said that he was “half human”, and 2) our hero romantically kissed a woman for the first time in the show’s history. 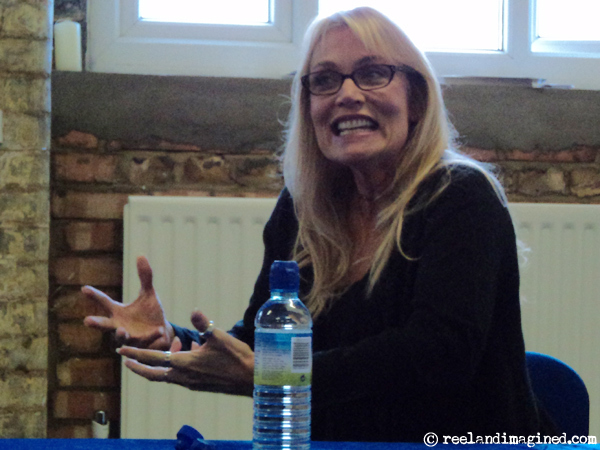 The recipient of the controversial smacker was Dr Grace Holloway, played by Daphne Ashbrook, who happens to be the guest of honour at today’s 10th Planet signing in Barking, north-east London. These Saturday-morning events are always quite well attended, but today’s is even busier than usual. Ashbrook shares the spotlight with two other actors from the series’ past, Kenneth Gilbert and John Gleeson, known in Who circles for their roles in 1976’s The Seeds Of Doom, but the majority of fans here this morning have clearly been enticed by presence of the Californian actress, who might well have been in the TARDIS but is still very down to Earth. Blimey, where are all the kids? Standing in the foyer of the NFT1, the largest screen at the BFI on London’s Southbank, I’m surrounded by 40-something blokes. I’m not sure why I’m so surprised. After all, I too am a member of this species, and the event I’m attending is billed as a “special treat for those of you who have to work for a living”. It’s just that, well, we’re all here for a screening of a CBBC programme, a 5.15pm, after-school treat. Sure, there’s a Q&A afterwards with its creators and stars, but still, I’d feel a bit more comfortable if the audience weren’t quite so hairy/bald (delete as applicable). The Sarah Jane Adventures, a spin-off from Doctor Who starring Elisabeth Sladen as the titular, alien-busting heroine, has been running since 2007. Now in its fourth series, the programme is one of the Beeb’s top-rated kids’ shows, and one that clearly attracts a fair number of adult viewers – especially when it runs episodes that feature the Doctor himself. 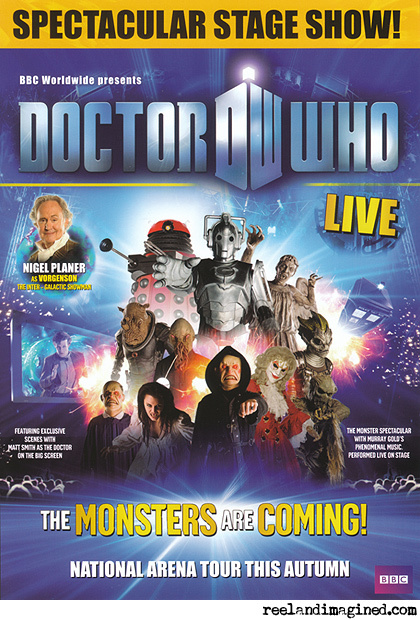 So runs the advertising blurb for the new Doctor Who stage show. I’ve long been suspicious of the cliché that has small children cowering behind items of furniture while Who is on telly. As a young fan in the early 1970s, I didn’t watch the show from behind the settee. Why would I? I thought that the series’ monsters were more likely to be lurking there. I avoided the area at all times, just like I avoided visiting the bottom of the garden, and I made sure that I was always out of the bathroom before the loo stopped flushing, particularly at night. Evil apple trees and toilet monsters are scarily real when you’re five. 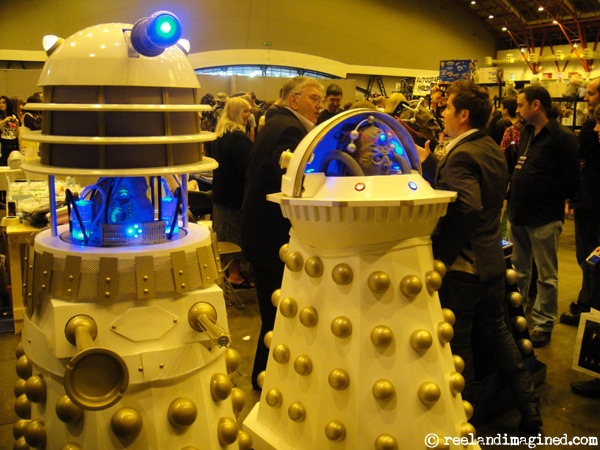 I flash back to my early childhood this afternoon during the matinee performance of Doctor Who Live, at Wembley Arena. I say ‘performance’, but it’s actually the interval. I’m seated at the side, looking down on the main arena. To ready everyone for part two of the show, a few scarecrows (from the 2007 episodes Human Nature / The Family Of Blood) are wandering around the audience, in a lolloping, menacing manner. One little boy, aged around eight, is on his way out of the arena when one of the straw monsters lunges at him, sending him running back to the safety of his mum. This isn’t a panto reaction – the wee fella looks genuinely frightened. It’s heartwarming. Bernard Cribbins – actor, storyteller and “pop star for three months” is pretending to be aghast at the idea that, as Wilfred Mott in Doctor Who, he killed the 10th Doctor. 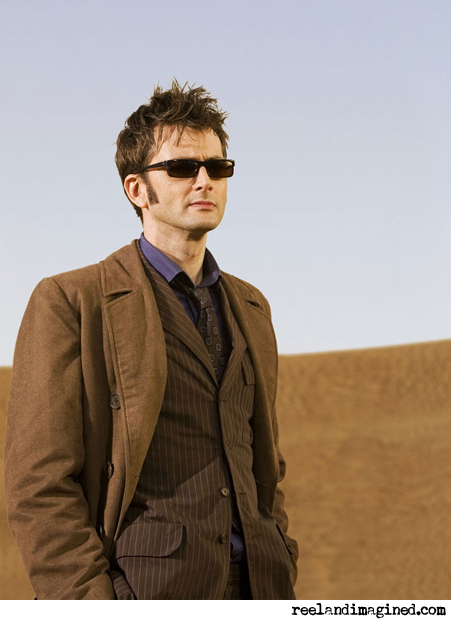 How does it feel to be responsible for the on-screen demise of David Tennant, the best-loved Time Lord since Tom Baker? Bernard pleads a defiant ‘not guilty’ – it was the fault of writer Russell T Davies, who, it must be noted, cunningly wrote Wilf’s life-and-death predicament as an act of accidental heroism. And besides, Tennant “was going anyway”. It’s Saturday 16 January, and Bernard – I’ll continue to be informal here, as calling the voice of The Wombles by his surname feels wrong – is at the BFI on London’s South Bank, where he’s holding court in front of a sold-out, 450-strong audience of paying fans. 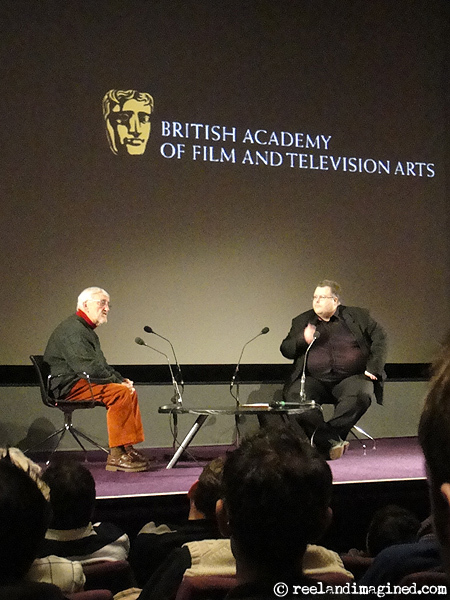 The occasion, billed as ‘Bernard Cribbins in conversation’ and chaired by the BFI’s Justin Johnson, is a public celebration of the actor’s win at last November’s Children’s BAFTAs, where he picked up the Special Award for his outstanding creative contribution to the film and television industries. The 11th Doctor’s costume? What the recently released press picture doesn’t show is the white stick and K-9-style guide dog. 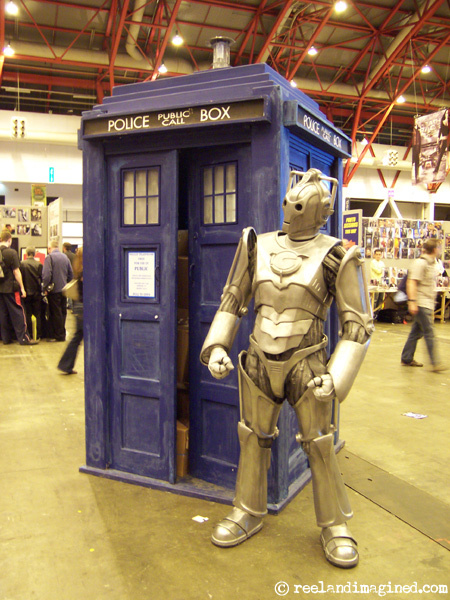 Remember, you heard it here first – unless, that is, you attended the Doctor Who talk at last weekend’s London Film & Comic Con at Earls Court Two. It was here that one of Matt Smith’s Time Lord predecessors, Tom Baker, put his hand over the side of his face, imitating the young actor’s floppy hairdo, and announced that the new Doctor has “only got one eye”. Baker’s mischievous irreverence might not have been to everyone’s taste (anyone expecting a serious Q&A session about the minutiae of Doctor Who will have been disappointed), but I thought it was a hoot. His eccentricity is a large part of his on- and off – screen charm, and he’s always good value for money. Asked what advice he’d give to future actors, he replied incredulously: “I couldn’t give a monkey’s toss about future actors!” – the first of many answers that had the audience roaring. 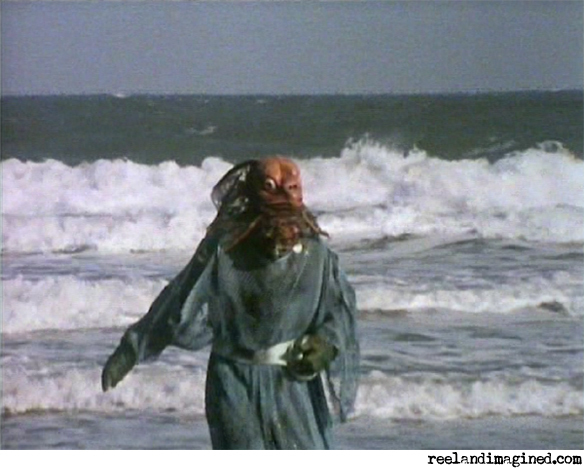 As the Doctor bids Lou and Carmen farewell at the end of Planet Of The Dead, he’s taken aback by Carmen’s warning: “Your song is ending, sir.” Her psychic powers, trumpeted regularly over the previous hour, suddenly don’t look so impressive. With the very public unveiling of Matt Smith back in January, is there anyone alive who doesn’t know that the 10th Doctor’s days are numbered? With David Tennant, the longest-serving Doctor since Tom Baker, getting ready to vacate the TARDIS, and executive producer and general mastermind Russell T Davies soon to turn the series in for adoption, Doctor Who is at a crossroads right now. Its semi-gap year, with just four hour-long specials replacing the usual 13-part series (14 if you count the regular Christmas special), seems to have slowed the show’s momentum, which feels odd with a regeneration looming. After the disappointing Planet Of The Dead, the next three specials need to be special if Tennant is to get the send-off that his Doctor deserves. The clock is ticking for everybody, even Time Lords. 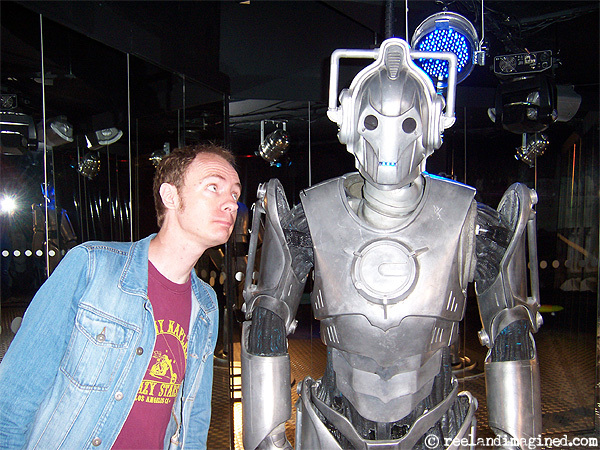 The Doctor Who exhibition at Earls Court has just three weeks left to run, so that trip I’ve been planning for months is suddenly urgent. The series four exhibits must all be in place by now, so Tara and I take a train over there on a drizzly Sunday afternoon. The sign in the entrance says to allow an hour to see everything. We spend a leisurely three; in fact, we’re the last folk to leave. Officially, the exhibition closes at 6pm, but as the time marches towards 5.40pm, Tara tells me that staff keep casually popping up behind us, as if to shoo us onwards towards the exit. We’ve been round once already, but I’m still too engrossed in monster-spotting to notice. Rising at 6am on Saturday wasn’t an ideal way to start the weekend, but at least it had purpose. This year’s London Film & Comic Con, held at Earls Court Two, had a 9am kick-off, and I didn’t want to be trailing behind the throng when the doors opened. After catching the 7.52am train to West Brompton, I arrived at about 8.10am and joined the queue, which was already snaking around the corner of the venue. It was a grey morning but, thankfully, the rain held off for just long enough. After last year’s event, which was held in a cramped and gloomy hall in Earls Court One (currently home to the Doctor Who Exhibition), it was a relief to find myself entering a spacious and reasonably well-lit venue Never having arrived so early at one of these events, I wasn’t quite sure what to do first: head to the back of the hall and grab some ‘virtual queue’ tickets for the guest signings, pick up some talk tickets or queue at the organisers’ booth to sort out a wee problem?